Heavy artillery, endless rounds of ammunition and caches of weapons aren’t the only useful resources to help win a war. 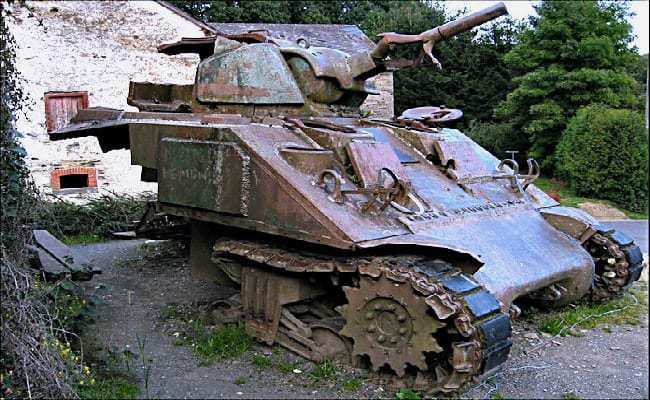 The troops in combat during WWII needed some remarkable vehicles to sustain them throughout their journey across long distances, as well as on the battlefield. Here are ten of the most capable vehicles used throughout WWII, the unsung heroes of the war effort. While the original Jeep was the Bantam prototype, the Willys MB Jeeps were quickly produced for the military specifically in the beginning of WWII. The United States Army and the Allies overall used these lightweight vehicles as their primary, 4×4 transportation on the road. Bantam initially had control of making these Jeeps, but afterward, he couldn’t keep up with the rapid production of wartime vehicles. With this in mind and also their limited design and production facilities, the army recruited Willys and Ford to provide a vehicle similar to Bantam’s design. Shortly thereafter, the Ford “Pygmy” and the Willys “Quad” four-wheel vehicles were born, resulting in 640,000 Jeeps prepared for use during the war. The BRC was then no longer required by the US Army as it was ‘non-standard.’ The Bantams already in service were passed to the British and Russian armies under the terms of the Lend-Lease Act.